The Census Bureau says the percentage of adults with a bachelor's degree or more is the highest it's ever been. See the numbers, as well as how they've grown over the years. 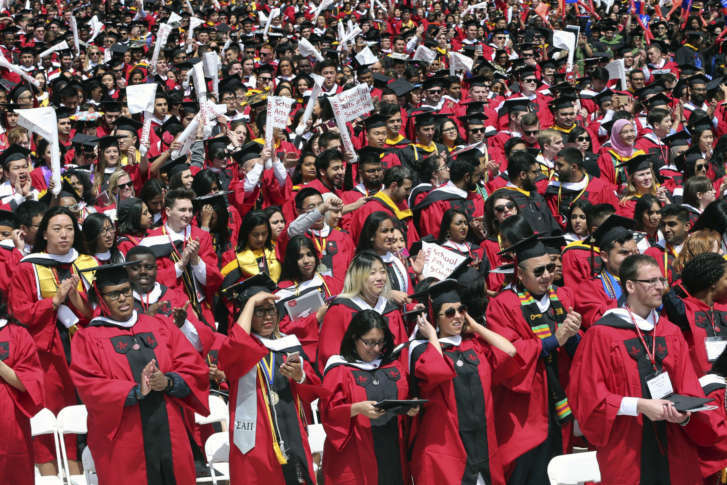 WASHINGTON — The Census Bureau says more than one-third of the U.S. adult population has a bachelor’s degree or higher, the highest proportion ever. The percentage rose to 33.4 percent in 2016. 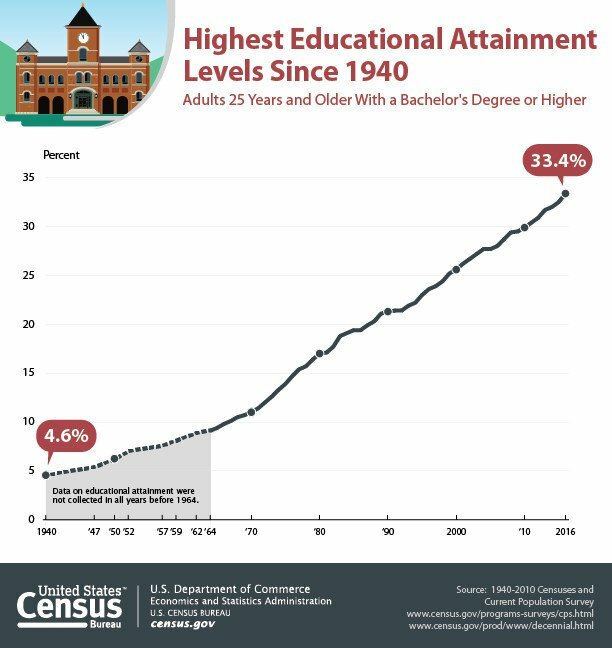 The Census Bureau has been collecting the information for 76 years, and says in 1940 just 4.6 percent of U.S. adults had a bachelor’s degree. The proportion is also sharply higher than just a decade ago, when 28 percent of U.S. adults 25 and older had at least a bachelor’s degree. The average earnings for those 25 and older whose highest education attainment was high school was $35,615, while the average earnings for those with a bachelor’s degree was $65,482; for those with an advanced degree, $92,525. Asian and non-Hispanic white populations are most likely to hold a bachelor’s degree or higher, at 55.9 percent and 37.7 percent, respectively. The number drops to 23.3 percent among the U.S. black population and 16.4 percent among the Hispanic population.